I had never had weight loss success like this before. The wedding day went according to plan and it was everything I wished it could be. 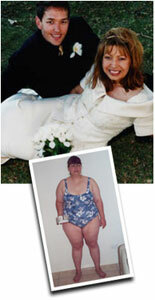 I lost 108 lbs., 52 1/2 in. and dropped from a size 24 to a size 12.